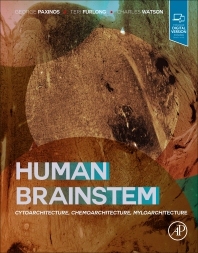 Human Brainstem: Cytoarchitecture, Chemoarchitecture, Myeloarchitecture explores how the human brainstem has been impeded by the unavailability of an up-to-date, comprehensive, diagrammatic and photographic atlas. Now, with the first detailed atlas on the human brainstem in more than twenty years, this book presents an accurate, comprehensive and convenient reference for students, researchers and pathologists. Essa maravilhosa descoberta irá confirmar, muitas técnicas de Terapias Alternativas, como a Kundaline, os chakras, os benefícios da Meditação....... Fico feliz com essa descoberta, pois a mais de 40 anos pesquiso sobre o a +, que a ciência convencional poderia nos dar sobre o assuntos sobre Terapias Alternativas. Hoje com 70 anos, parabenizo os Doutores.